Our low-cut socks for girls are high on comfort and fun! EZ Sort sock matching system makes sorting socks so much easier! Reinforced heel and toe for longer wear. 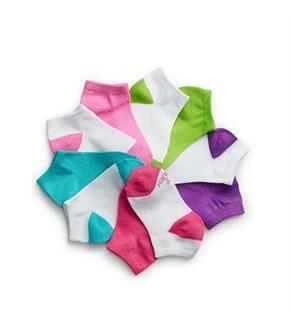 Hint of spandex gives socks the perfect amount of stretch for a better fit.Assorted colors 10-pack.